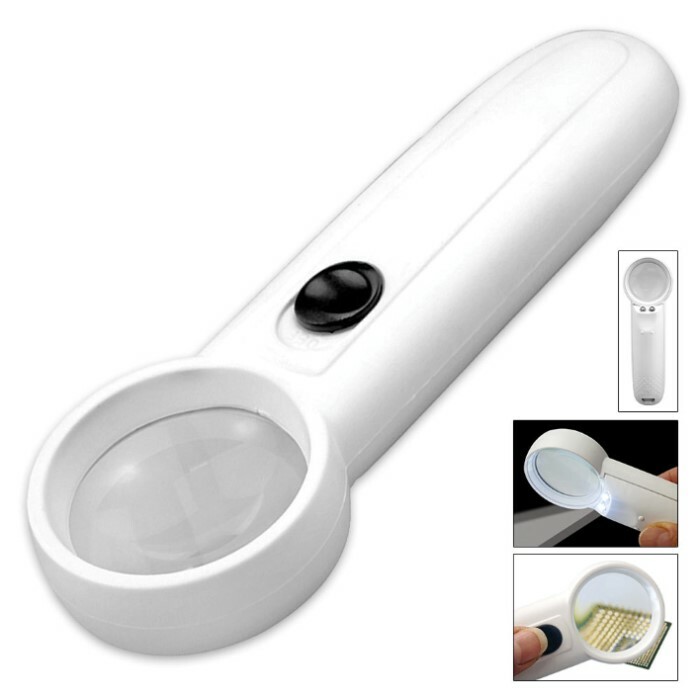 5X Illuminated Magnifier 1 1/2” | BUDK.com - Knives & Swords At The Lowest Prices! 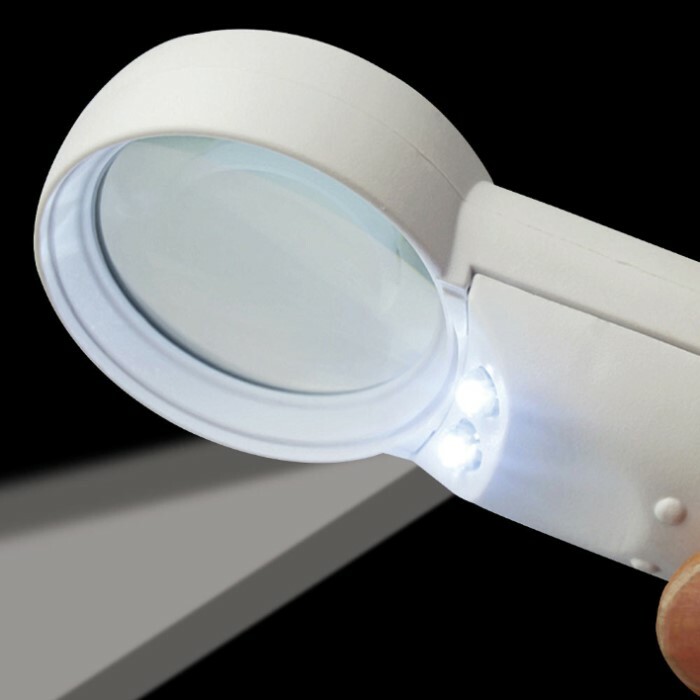 Sometimes you just can’t read the fine print but with this 5X Illuminated Magnifier in your hand, it will be no problem. 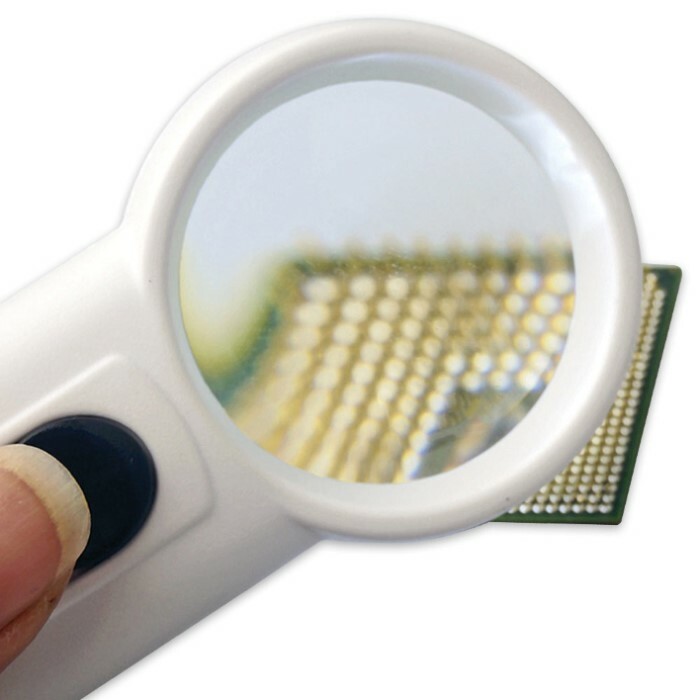 The magnifier has a 1” diameter lens and a super bright white LED light. It requires 3 AAA batteries.